With June coming to an end, things have started to slow down on the iPhone 7 and the iPhone 7 Plus. The current sentiment from the rumor mill suggests that this year’s flagship launches from Cupertino won’t be massive in terms of upgrades and new features; a fact that’s led to interest waning down by quite a bit around both the devices. Rumors from Foxconn that Apple’s run into technical difficulties with the dual camera on the larger iPhone 7 Plus are largely to blame for this, as the upgraded camera module was perhaps the most interesting feature on the lineup. Well today we’ve managed to spot some more images and specifications of the smartphones, so if you’re still hoping for a dual camera, you might not completely be out of luck, yet. As we’re about to enter H2 2016, news from Apple’s camp hasn’t been quite positive. Cupertino’s been alleged to be facing technical and implementation problems when it comes to the iPhone; problems which will result in this year’s iPhone upgrades to be minimal rather than major. In fact, rather than the iPhone 7, its going to be the iPhone 8, expected to be launched next year, that’s been rumored to get the lion’s share of upgrades, with Apple looking to commemorate the lineup’s 10th anniversary in a major way. 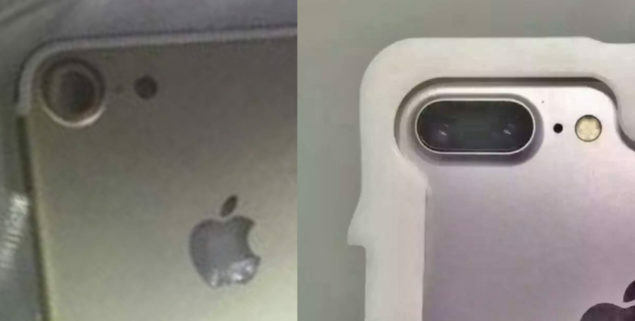 Now, some more images of both of this year’s iPhones have surfaced again from the far East, which manage to confirm almost everything that’s been rumored for the devices so far. 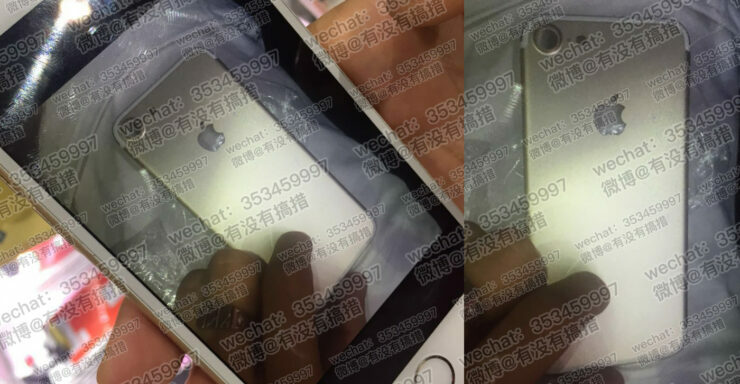 Taking a look at the image above you’ll see that the iPhone 7 will indeed be coming with redesigned antenna bands across the device’s top and bottom, alongside what appears to be a larger camera sensor. Our sources are also claiming that this sensor will be Sony’s IMX377CQT, with f/2.3 and approximately 12.3M effective pixels. Interestingly however, its also being reported that Apple’s chosen to retain the 3.5mm earphone jack, marking for yet another disappointment from the rumor mill’s end. Furthermore, another alleged leaked image of the iPhone 7 Plus now shows the dual camera module once again on the device, Given that the iPhone 7 and the iPhone 7 Plus have already entered mass production according to reports, today’s images just might end up representing the final products, complete with their upgrades. While we’d have appreciated more images showing the alleged smart connector on the larger device as well, these images are all that you’re going to have to do with today, but more should be expected to surface in the future. We’re also hearing that the 9.7 inch iPad Pro‘s upgraded display, which supports the DCI-P3 color gamut will also be making it on board the iPhone 7 and the iPhone 7 Plus. If true, then this would mark for a good display upgrade on the device, especially as Apple’s expected to hold out on OLED until next year. Other specifications on the device are expected to stay largely the same, except for the processor and GPU, which should be getting the usual boost of performance specifications. Thoughts? Let us know what you think in the comments section below and stay tuned for the latest.